Kingscroft provide lightweight mailing bags, bubble envelopes, shipping boxes (cases), tapes and internal packaging products to everyone from cottage-industry ebay traders all the way up to international mail order retailers and distributors. 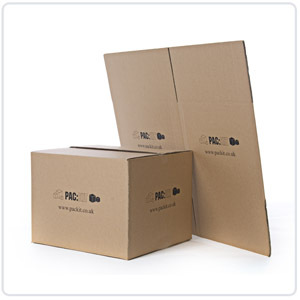 Our stock range also includes self-seal low-density polythene mailing bags. Bespoke sizing and branding is available on all types of mailing supplies to give a professional image to your customer or to provide instructions, contact details or mail franking on the packet. Branded mailing bags (eg typically used for magazines or catalogues) can be produced, with flexo printing in single or multiple colours. Kingscroft also supply a full range of branded strapping and tapes - another ideal way to brand mailing supplies using one printed item. We can liase with your existing designer or offer a complete design and production service. Please visit our Contact Page to make an enquiry and a member of staff will be in touch to discuss your requirements further. 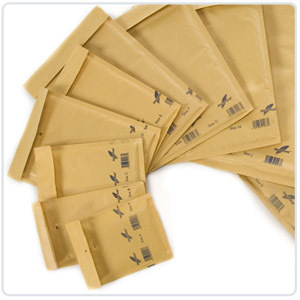 For immediate purchase of standard mailing bags, please visit our site www.jiffyenvelope.com where our stock range of mailing bags are available to browse and buy online ! Suitable for everything from small jewellery items through CDs and books to bulkier items, the website shows recommended uses for each type of bag and advises on compliance for letter and parcel sizes with Royal Mail.